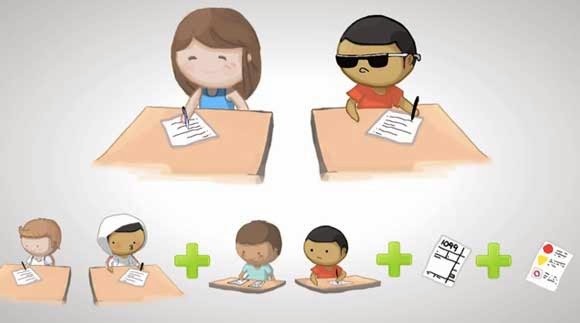 I'm not sure about any of you adults out there, but far as I'm concerned everybody should at least try to cheat on a test in high school once. Just in high school, because the moment you cheat around college or at work you're gonna face some really nasty consequences. You can do it in high school because you're still basically a kid who's trying to learn real world stuff like working with other kids and being street smart. Anyways, just go ahead and watch the YouTube video after the break and see if you can relate with the cheating tactics they used and probably learn a lesson or two while you're at it.